Sri Ramana Maharshi died on April 14, 1950, some 60 years ago. In 1911 Frank H. Humphreys was Sri Ramana's first western disciple. Now, all these years later, out of all of the hundreds and hundreds of westerners who interacted with the Maharshi, only a handful of individuals remain who actually met and interacted with him. Of that handful of western disciples, only one American is still alive that studied under the grace and light of the Maharshi in his ashram. To find out who, click HERE. This is an impressive and instructive description by a young man (eager in search of Mahatmas for Enlightenment) of his visit to, and experiences with Sri Ramana Maharshi. About three months ago, I met in my sleep a great man. I spoke about it to the Telugu Munshi here. The Munshi brought me some pictures. I picked out the man at once from the others. Last Friday, this man was coming through Vellore to go to a Theosophical Conference. He does not belong to the Theosophical Society. All Masters work for the common good. I took to him a bundle of photographs of great men including those of our Maharshi and Ganapathi Muni. I silently placed the bundle before him on his table and quietly went to Mr. L. Clift, another police gentleman whom I was then teaching. When I returned to the writer of this booklet an hour later, he invited me with the words: "There is the likeness of your Guru. Is he not your preceptor? Tell me.'' Thus saying, he pointed to me the photograph of our Ganapathi Sastriar separated from others. This act of his surprised me. I was caught and I could not hide me or my master. I had regarded (and I do still regard) Ganapathi Sastriar as My Guru. I learned later that he was the first Sanskrit scholar in India, and that is saying something out here where Sanskrit is the language of the Scriptures and every student of wisdom learns it. He knows the sciences inside out, and many languages. You remember how the Apostles suddenly "spoke with tongues.'' Well, there are people here, who have known this man all his life, and they know that up till one day, he did not speak a word of Tamil, a very difficult language. Fifteen days afterwards, he was able to give a long lecture in pure Tamil and to read it and write it as well as any of the professors. I asked him how he achieved this feat and he replied, "By meditation.'' Think of that! no book! no grammar! simply meditating on God, as these men knowhow to, and asking to be taught Tamil. 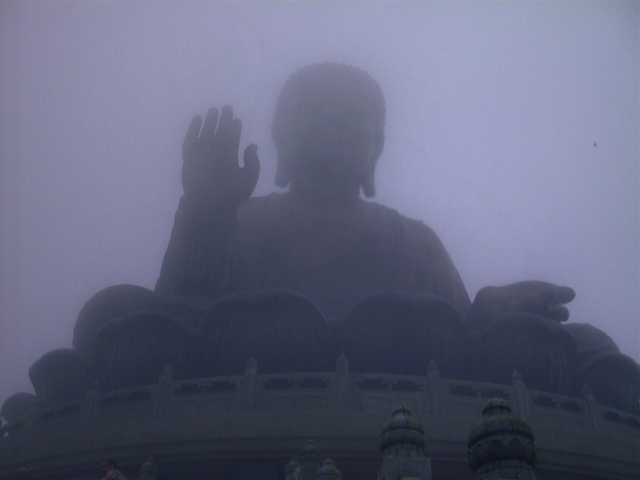 About the end of 1911, he returned from the hills. One day when I was teaching him Telugu in Vellore, he asked me for paper and pencil and drew a picture of a mountain cave with some sage standing at its entrance and a stream gently flowing down the hill in front of the cave. He said he saw this in his sleep and asked me what it would be. Immediately the thought of our Maharshi, then dwelling in the Virupaksha Cave came to my mind and I told him about Sri Ramana Paramatma. From the day he saw Ganapathi Sastrigal in his dream, he had been asking and urging me to take him to the Sastriar. How he happened to meet Ganapathi Sastriar and how he was taken to the Maharshi, he has himself clearly explained in his book. Subsequently he took several independent trips to our Master whenever there was a doubt to be cleared or a question to be asked. Then Sastriar told me to look the Maharshi in the eyes, and not to turn my gaze. For half an hour I looked Him in the eyes which never changed their expression of deep contemplation. I began to realize somewhat that the body is the Temple of the Holy Ghost. I could only feel His body was not the man, it was the instrument of God, merely a sitting motionless corpse from which God was radiating terrifically. My own sensations were indescribable. Now I shall relate what transpired in the presence of the Maharshi during his first visit to him. He saluted the Mahatma and remained in silent prayer and meditation for a few minutes. When permitted to talk, the first question he asked was, "Master, will I, be helpful to the world?'' The Mahatma's answer was "Help yourself, you will help the world''. The same question repeated had the same reply with observation that he was in the world but not different (separate) from it, nor was it different from him, and that therefore by helping himself, he would help the world - (meaning thereby the one-ness of Jiva with Atman). The next and the last question was: "Master, can I perform Siddhis (miracles) as Sri Krishna and Jesus did?'' This question was met by a counter question: "Were they, at the time when they performed miracles, aware that they were performing miracles?'' Mr. Humphreys, after a minute's silence, replied: "No, Master. They were only the media through which God's power did its work.'' How much importance can be attached to things mystic in nature is vividly explained in this book. (b) The act of our seeing them. Do not fix your attention on all these changing things of life, death, and phenomena. Do not think of even the actual act of seeing them or perceiving them but only of that which sees all these things. That which is responsible for it all. This will seem nearly impossible at first, but by degrees the result will be felt. It takes years of steady, daily practice, but that is how a Master is made. Give yourself a quarter of an hour a day. Keep your eyes open, and try to keep the mind unshakenly fixed on That Which Sees. It is inside yourself. Do not expect to find that "That'' is something definite on which the mind can be fixed easily; it will not be so. Though it takes years to find that "That'', the results of this concentration will soon show themselves in four or five month's time-in all sorts of unconscious clairvoyance, in peace of mind, in power to deal with troubles, in power all round-always unconscious power. I have given you this teaching in the same words as the Masters give it to their intimate chelas. From now onwards let your whole thought in meditation be not on the act of seeing nor on what you see, but immovably on That Which Sees. Realization is nothing but seeing God literally. You must read all I write literally. Our greatest mistake is that we think of God as acting symbolically and allegorically, instead of practically and literally. Take a piece of glass, paint colours and forms on it, and put into a magic lantern, turn on a white light, and the colours and forms painted on the glass are reproduced on the screen. If that light were not turned on, you would not see the colours of the slide on the screen. So is it with an ordinary man. His mind is like the screen. On it shines the light, dulled and changed because he has allowed the many-sided world to stand in the way of the Light (God). He sees only the effects of Light (God) instead of the Light (God) Himself, and his mind reflects the effects he sees just as the screen reflects the colours on the glass. Take away the prism and the colours vanish, absorbed back into the white light from whence they came. Take away the colours from the slide and the light shines clearly through. Take away our sight the world of effects we see, and let us look only into the causes, and we shall see the Light (God). A Master in meditation, though the eyes and ears be open, fixes his attention so firmly on "That which Sees,'' that he neither sees nor hears, nor has any physical consciousness at all - nor mental either, but only spiritual. We must take away the world, which causes our doubts, which clouds our mind, and the light of God will shine clearly through. How is the world taken away? When, for example, instead of seeing a man you say, "This is God animating a body,'' which body answers, more or less perfectly, to the direction of God, as a ship answers more or less perfectly to her helm. "What I didn't tell in ZEN ENLIGHTENMENT: The Path Unfolds is just prior to going outside to the porch he stopped for a few seconds and searched through a stack of books sitting parallel along the floor against the wall. There he found a small, almost pamphlet size book, well worn and crudely made, that had been published in India and handed it to me. The name of the book, which I really didn't have time to absorb because I dropped it from my hands in a sort of stunned disbelief, was titled Glimpses of the Life and Teachings of Bhagavan Sri Ramana Maharshi by Frank H. Humphreys. Although my thoughts and feelings would eventually open and morph through it's passage, at that very specific moment in time --- and for years afterwards --- I was sure I had never heard of a Bhagavan, a Sri Ramana, or a Maharshi. Even so, I immediately grasped why he thought the book should be important, and it wasn't who wrote it or what was inside, but what was outside. Outside, on the cover, was a picture of the EXACT same man I saw that night in the old stage stop atop Catalina, short-cropped white hair and beard, walking stick and all. As a shuddering cold chill engulfed my body it dawned on me as well, after seeing the photograph on the cover, that the other man, the man in the dark clothes I caught only a fleeting glimpse of some eight years before, was the same man now sitting on the floor of the porch next to me. Both had been at the stage stop that night, the man sitting next to me AND the man on the cover." "Glimpses of the Life and Teachings of Bhagavan Sri Ramana"
"The next day, for the first time, I was reluctant to go to work. Arriving late, several hours passed with little conversation. "Mid morning came and went. Finally he motioned for a break. Mixing two ice teas, he handed me one, and putting his hand on my shoulder guided me outside to the porch where we sat in the shade on the cement floor, leaning our backs against the dusty white clapboard wall. His house was on the downside of the crest of a hill, somewhat higher than the surrounding area before us so the level of his porch was actually higher than the rooftops of the single dwelling houses across the street. From our vantage point we could see the whole basin outlined by the distant mountains to the north as they fingered their way downward toward the west where they intersected with the deep blue horizon of the Pacific and that of the cloudless pale blue sky. For the first time he spoke of himself." "What I didn't tell in ZEN ENLIGHTENMENT is just prior to going outside to the porch he stopped for a few seconds and searched through a stack of books sitting parallel along the floor against the wall. There he found a small, almost pamphlet size book, well worn and crudely made, that had been published in India and handed it to me. The name of the book, which I really didn't have time to absorb because I dropped it from my hands in a sort of stunned disbelief, was titled Glimpses of the Life and Teachings of Bhagavan Sri Ramana Maharshi by Frank H. Humphreys." "When Humphreys visited Sri Ramana Maharshi in 1911, he conveyed to Felicia Scatcherd, who was then editing the International Psychic Gazette, London, his impressions of Sri Maharshi and His instructions. These were compiled into a booklet in 1925." Where my mentor got the copy of the book he had or how long he had it I never learned. However, what I presented in the paragraph above contains all the clues about the book except possibly where and when he got it. First off, the copy he handed me was like no other copy of Humphreys' book that I have seen since. The one he handed me was pamphlet-like, well worn and crudely made, and had been published, or at least, printed in India. I do not specifically recall the title of the book printed on the cover as actually beeing Glimpses of the Life and Teachings of Bhagavan Sri Ramana Maharshi per se'. As you can see in the paragraph I state I really didn't have time to absorb the name of the book. Although I remember no date I did, however, absorb the fact that the book was printed in India and that the author was a man named Humphreys. Why I remembered the book was printed in India was because it was poorly made and reminded me of the quality of books I used to see around as a teenager now-and-again called Tijuana Bibles, and because of that I specifically looked to see where the book was made. 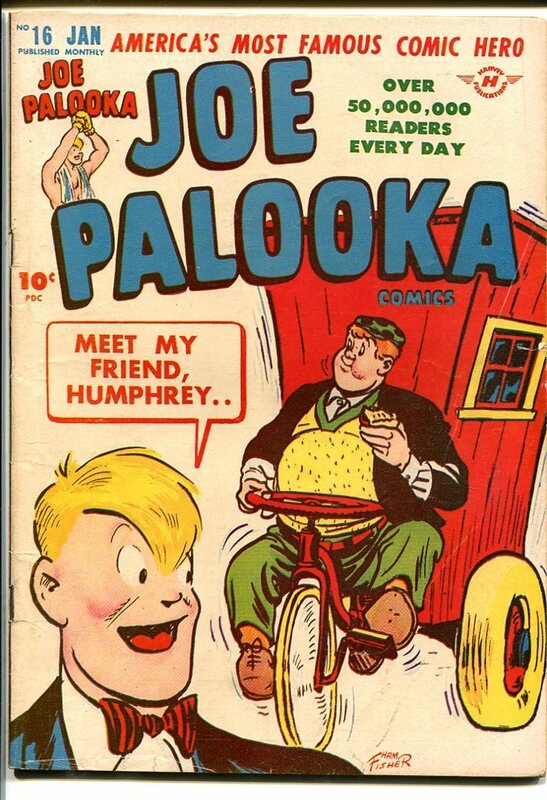 As for the author being Humphreys I recalled his name because at the time there was a comic book character that showed up in Joe Palooka comics named Humphrey that rode a tricycle type contraption that had an outhouse on the back. For some reason, because of that, I always remembered the name Humphrey. From those remembrances I was able to put together enough info to call the book I saw Glimpses of the Life and Teachings of Bhagavan Sri Ramana Maharshi AFTER reading a 'real' copy years later. The book my mentor had was a compilation of articles actually copied from the Gazette then simply reprinted in their original newspaper-like format that Humphreys first published in The International Psychic Gazette in May 1913 (pp 295ff), June 1913 (pp 327ff) and July 1913 (pp 357ff) --- the exact same source used years later for the 'real' book. Who put together the copy my mentor had or how many were printed and distributed I don't know, but I do know it had a picture of Sri Ramana Maharshi on the front and when I saw it I dropped it from my hands.